Packed in a bubble bag individually, then separated by a foam, finally put in standard export carton packing, or OEM packing. In the industrial areas of petrochemical, chemical fiber, fertilizer, atomic energy, aerospace and machinery manufacturing. The higher requirement for mechanical seal should be able to operate under high speed, high pressure, high temperature, low temperature, strong corrosion and solid particles. 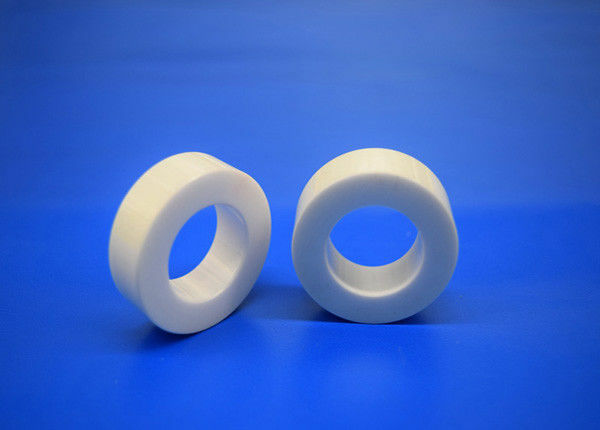 Zirconia is a material with superior performance in inorganic non-metallic materials. It is resistant to corrosion, high temperature and wear resistance, and is known for its strong strength and toughness.It makes mechanical seal ring, which can prolong the life of the sealing ring, reduce the number of change, reduce the cost and improve the efficiency. 1. High hardness, good wear resistance, small thermal conductivity, good chemical stability and high corrosion resistance. 3. Good chemical stability. It can resist acid corrosion at high temperature. 4. Strong strength, abrasion resistance, good chemical stability, good biocompatibility and high density. 5. It is a kind of inorganic non-metallic material with high temperature, abrasion resistance and corrosion resistance. It is one of the best refractory materials in nature. YSZ zirconia sealing rings will be packed in a bubble bag individually, then separated by a foam, finally put in standard export carton packing, or OEM packing. years. We can make the products according to your drawings, custom the size, thickness and other parameters.